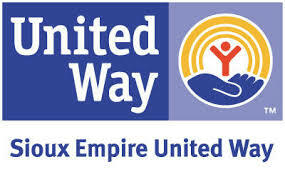 Sioux Empire United Way is proud to be a community problem solver, responsive to the needs of all people in the Sioux Empire. We do more than just raise money, we pull together local resources to meet emerging needs and prevent future problems in our community. Money raised by Sioux Empire United Way makes a difference in the lives of people right here at home because money that is raised locally stays local. Donations are distributed to local agencies who use the funds to combat many of the toughest problems facing thousands of people living and working in the Sioux Empire.